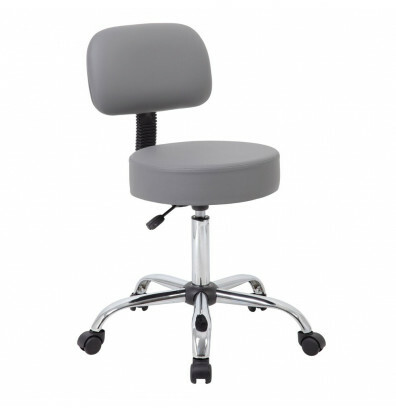 Boss B245 Caressoft medical stool upholstered in easy-to-clean, durable Caressoft vinyl features a height adjustable pneumatic gas lift and stable five-star base with casters. Available in multiple colors. 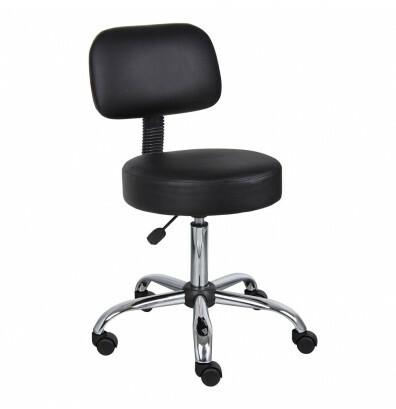 Boss B245 medical stool is upholstered in ultra soft and durable Caressoft vinyl for easy maintenance and cleaning. Caressoft has the feel and look of top grain leather with the low maintenance and durability of vinyl. 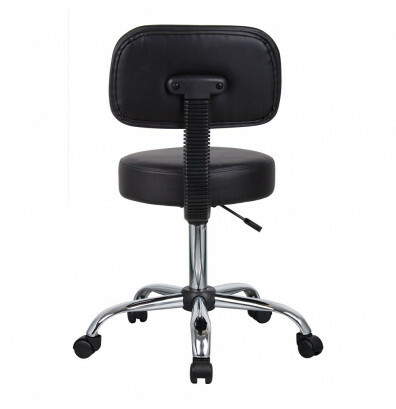 Ergonomic design and height adjustable pneumatic gas lift for instant seat height adjustment with a 6" vertical height range. Five-star nylon base for stability and dual-wheel casters protect floors from wear. 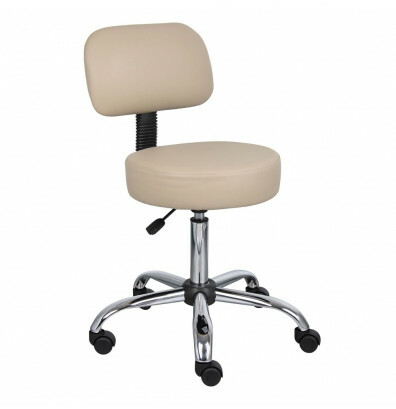 The Boss medical stool is available in beige, black, and grey. Also available without a back or with a footring. 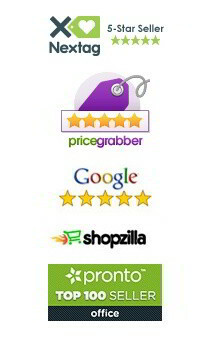 Very happy with the price, value and quality of this product. I would order it again.